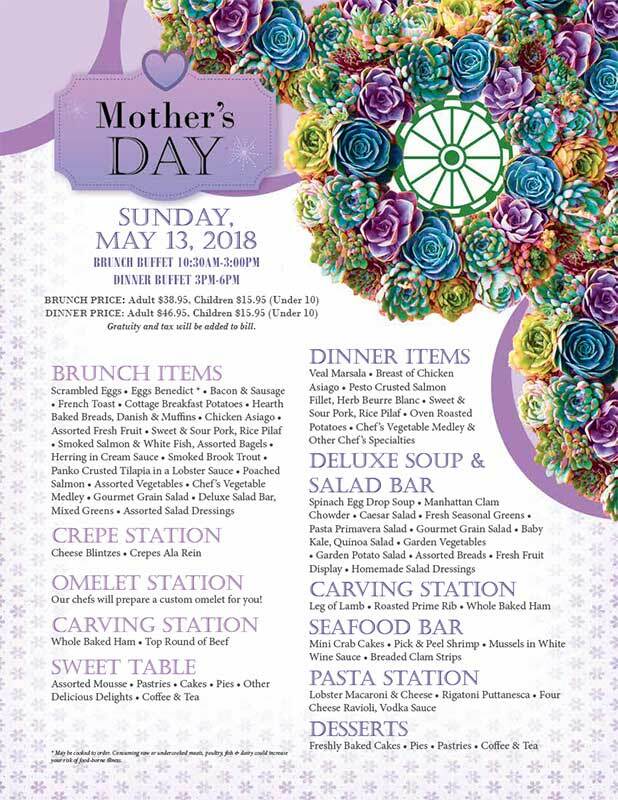 Show Mom how much you care by celebrating Mother’s Day with our Brunch and Dinner Buffets. Treat mom to a brunch that outshines the rest! Delicious crepes are always a welcome sight! Slide over French toast and create a custom creation at Spring Mill's Omelet Station! Choose vegetables, cheese to breakfast meats! Our all-you-can-eat dinner buffet features a Seafood Bar with fresh made mini crab cakes, pick & peel shrimp, fresh mussels in a delightful white wine sauce and breaded clam strips. The Carving Station will be set with whole baked ham, leg of lamb (served at dinner), and roasted prime rib. Try a scoop of our house made lobster macaroni and cheese, baby kale and quinoa salad, and a steaming hot bowl of Manhattan clam chowder. The brunch buffet varies from the dinner buffet. Call 215-675-6000 for reservations. Large parties, welcomed! Treat you mother to a feast! Come in for dinner and burn it off with our Friday Night DJ! Ditch the winter blues with some karaoke and dance with the DJ! Come dress in your best or in this case your worst, most gaudy, horrifying, monstrosity of Holiday Cheer you can find. Bring you’re A-game to win this ugly sweater contest! We want to see the ghastliest sweater that you would be ashamed to wear it anywhere else. Canvas those thrift stores people!